Alexander Rose Beach Lounge Middle Module: The Alexander Rose Middle Module Chair is a luxurious and comfortable piece of furniture which would be a stunning standalone chair or part of a bigger furniture design. The Beach Lounge Chair is made with high quality aluminium perforated mesh frames for a sturdy design with a choice of two frame colours flint or shell. 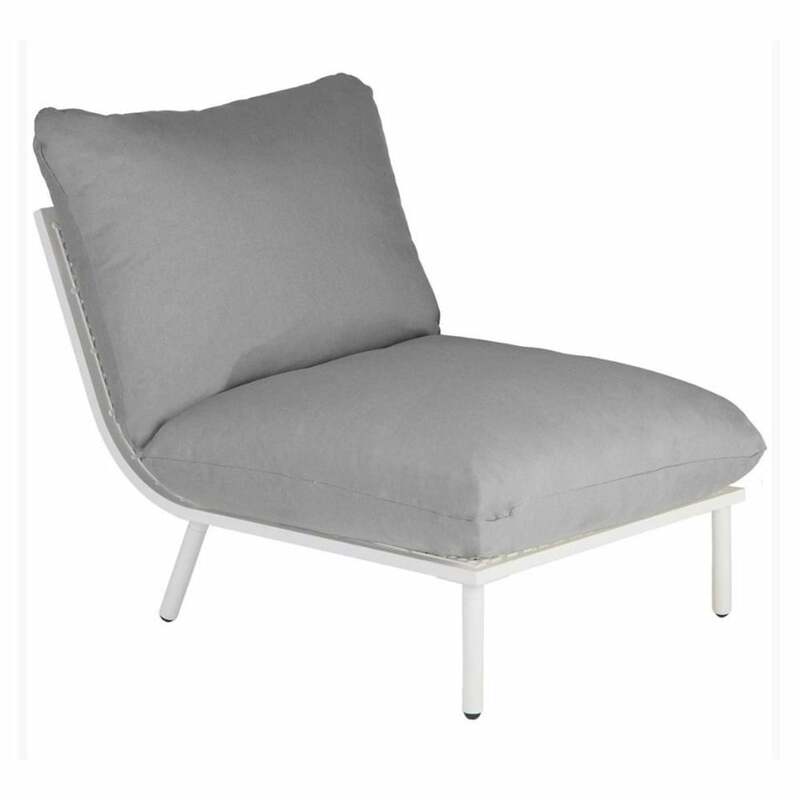 The Alexander Rose Lounge Chair comes with luxury seat and back cushions with a well-padded and water resistant design made with olefin fabric in a choice of grey or taupe colour. The cushions attach to the holes in the frame using practical toggles and come with a 2 year warranty.